Utah has an amazing collection of National Parks with some of the best hiking trails in the world! These areas have become a destination for people young and old, each looking for something magical and memorable along the way. Whatever you are looking for, I promise that this list contains at least one hiking trail you will never forget….I’m on a mission to help you find your family’s favorite trail that will be talked about for years to come! I personally have hiked all of these trails and many more. Nothing on this list is longer than 3 miles (most are 2 miles or less). Some are paved and perfect for a stroller or a wheelchair. Others will feel exciting and adventurous, perfect for your little Indiana Jones! Each trailhead is easily accessible and is located right in the heart of the National Park. I’m ready to show you what Utah’s National Parks have to offer! Thanks for supporting Dirt In My Shoes by being here and joining my Facebook community. I am grateful to have you along for the ride and would love to hear about your experiences and favorite places in Utah’s National Parks in the comments below! Some maneuvering over slickrock is required on this trail, but you are rewarded with a stunning waterfall that very few people ever see. Stroll on a paved trail next to the breathtaking Virgin River. Hike to three beautiful, sparkling pools on this stunning trail that provides great views of the red rock cliffs. 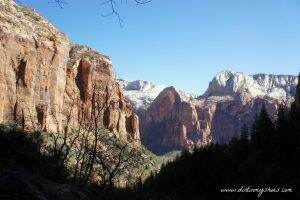 Get a birds-eye view with a sweeping vista of Zion from the end of this trail. Hike in and along the river to reach a beautiful waterfall and wading pool. This is one of my favorite hikes in a National Park! Hike to a large arch located among some of Capitol Reef’s most famous rock formations. Get an incredible view of Capitol Reef from the end of this trail. Hike to this iconic arch overlooking the stunning canyons below. Hike to a beautiful meteor crater surrounded by red rock and canyons. See a collection of canyons that stretch for as far as the eye can see. See three arches plus stunning views of the La Sal Mountains in the distance. Stand underneath the tallest arch in Arches National Park. Hike to the longest arch in Arches National Park. 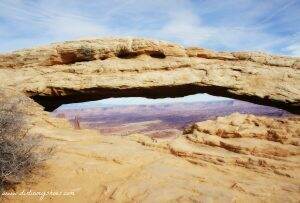 Visit the most iconic arch in the state of Utah and marvel at its beauty. Descend into a gorgeous canyon with sheer rock towers in every direction. Find the elaborate petroglyphs and pictographs drawn by an ancient people. Hike in this desert oasis along a sparkling river to a stunning cave and waterfall. See a different side of Bryce Canyon! This paved trail provides gorgeous views of the canyon everywhere you turn. Hike down among the hoodoos to reach the rock formation that strongly resembles Queen Victoria. 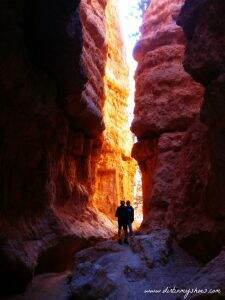 Hike through the beautiful slot canyon called Wall Street and then through a gorgeous collection of hoodoos. 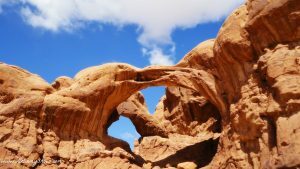 Sand Dune Arch – Arches National Park. This trail is especially fun for younger kids who would enjoy playing in the sand. You can stand right next to the arch, but the area is small and can be crowded. Cassidy Arch – Capitol Reef National Park. This hike is one of my favorites. The arch is huge and you can actually stand on top of it if you are feeling brave. It did not make my list because the beginning of the hike is quite strenuous and the distance is 3.4 miles round trip. I certainly recommend this hike if your kids are good hikers! 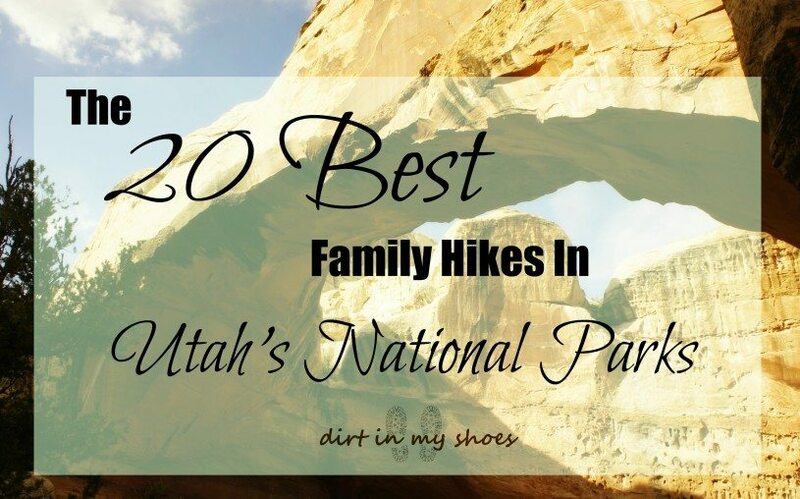 No matter which park you visit, or if you visit all 5, you can be assured that you will find some awesome family hikes in Utah’s National Parks! Which hike is your family’s favorite?! Let me know in the comments below! Thank you so much for taking the time to post this information. This information will make our upcoming trip to these parks all the more enjoyable. I’m glad! Have a great trip! Unfortunately I don’t know much about traveling and hiking with a dog as I don’t own one. I think there are websites that are completely devoted to traveling with your furry friend so I would try to start there! Good luck! We plan to take our grandkids to the Utah Parks when I retire. Hopefully in 18 months! 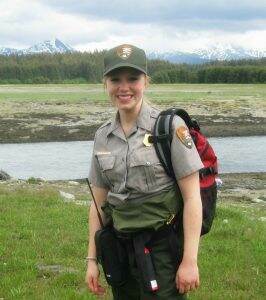 And of course, visit Alaska one day. Great and informative website. Calf Creek Falls in Grand Staircase Escalante is our favorite! That’s a great one! I’ll have to make a list of fave hikes near the national parks! Up the wonderful descriptions. I hope people will appreciate your work.